CLIFTON — City school board members remain united in opposition to the state education department's mandate that the district allocate $2 million toward a controversial charter school group. The state Department of Education issued a directive to the Clifton school board late in the budgetary process, said Clifton school officials. The directive calls for the funding of 225 students set to attend Passaic Arts and Science Charter schools, including a new building opening this fall on Clifton Avenue. The school formerly housed the Sacred Heart Elementary School. The PASC is affiliated with the ILearn LLC Network, which is the subject of investigations due to allegations of fraud. 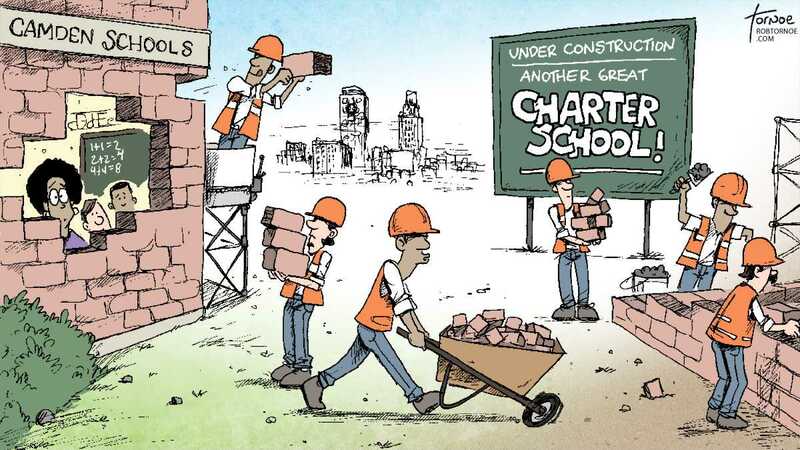 And so it continues with New Jersey's insane charter authorizing system: Trenton mandates a school district must give up funds to support a charter school that the district had no say in approving. Worse, the district cannot exercise any oversight authority over the charter: iLearn can spend the funding the state mandates the district provide any way they wish, so long as NJDOE approves. It's worth pointing out that, according to data from the Education Law Center, Clifton has suffered from persistent underfunding of state education aid under the Christie administration: cumulatively $73.8 million since 2010. And yet the same administration mandates that Clifton taxpayers put up millions of dollars every year for a charter school the community may not even want. The standard answer from reformsters to this complaint is that "families can vote with their feet": if the charter can't attract students, it will close. This argument fails on several levels, not the least of which is that schooling is a community concern -- not simply the concern of parents -- and that even taxpayers who don't have children in the school system have every right to expect that their hard earned dollars are being used efficiently and effectively. Dawn Fantasia, iLearn’s communications director, said the new school campus is located at 43 Clifton Ave., and denied Daley’s allegations that school has not publicized its financial reports. Um, no. Calling this short document an "audit" is a gross misrepresentation. The plain fact, as Julia Sass Rubin and others have pointed out, is that New Jersey charter schools are far less transparent in their financial dealings than public school districts. There is no way to know, looking at this document or the charter's CAFR, what relationships and contracts exist between the charter, its board, and its contractors, vendors and lease-holders. Two of the New Jersey schools, for example, have a founder who has served as a director at the New York-based Alliance for Shared Values, considered the voice of the Gulen movement in this country. The CEO of iLearn Schools Inc. – an Elmwood Park-based non-profit that manages four of the local charter schools – comes from a charter network in Texas that the Turkish government claims is linked to the Gulen movement. The schools and their vendors have successfully courted prominent public-school educators and political figures. The state’s top charter school regulator, Harold Lee, left his post last summer for a job at iLearn. Security consulting contracts at four of the schools worth more than $90,000 a year are held by ex-Bergen County Sheriff Leo McGuire, who took a 10-day trip to Turkey before he left office in 2010 with his family and local Turkish nationals tied to the schools. It was paid for in part by a Gulenist group. ILearn, which is set to add a fifth charter to its chain this year, declined to answer routine requests for information about its payroll, saying that as a private contractor it is not subject to the state Open Public Records law. 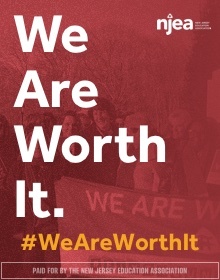 Is anyone seriously suggesting the Clifton BOE ought to just accept all this? That they don't have a fiduciary responsibility to their constituents to make sure Passaic A&S and iLearn are using revenues appropriately -- especially when the town's public schools are being short-changed by the very state administration that forced them to fund this charter school? 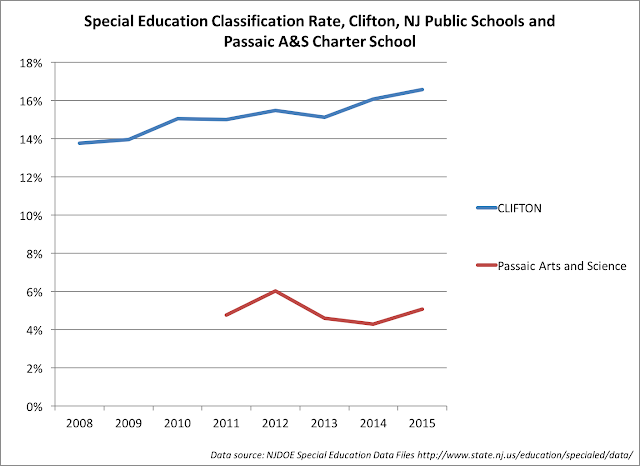 Which brings us to the second way the reformster argument for laissez faire charter regulation falls apart: how is Clifton supposed to "compete" for students when it doesn't get the resources the state's own law says it needs, even as it serves a different population of students compared to Passaic A&S? 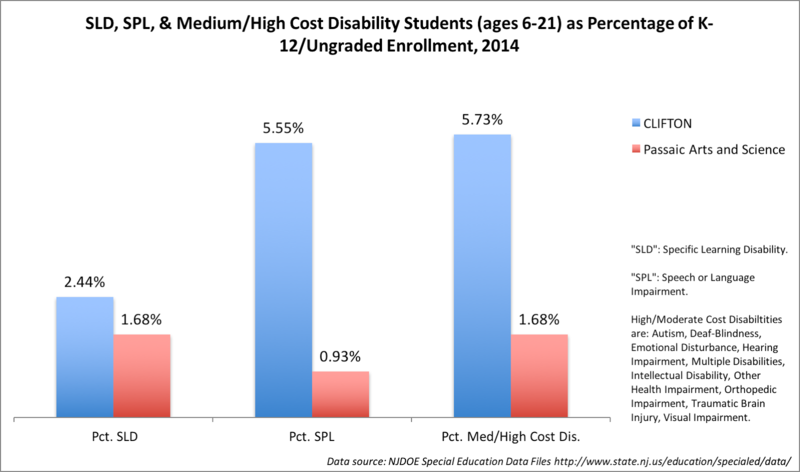 As is typical for New Jersey, the students with the most costly special education disabilities are concentrated in the public district schools, and not the charters. 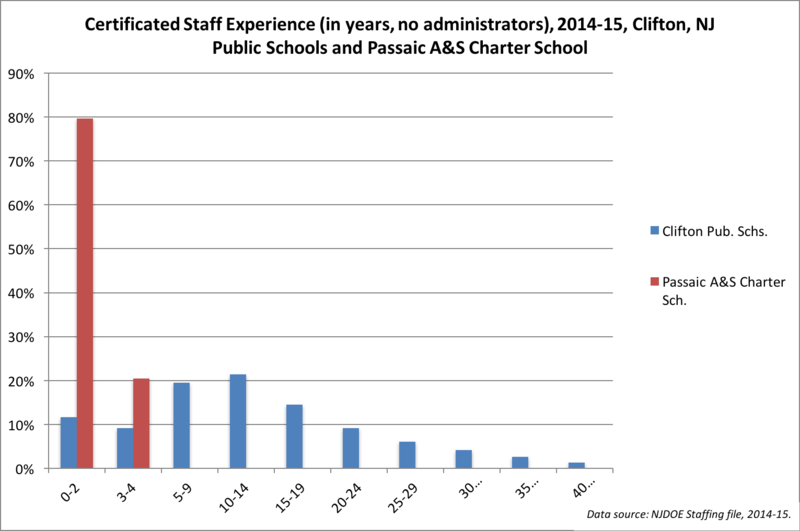 Which means that even as charters like Paterson A&S are syphoning funds away from an already underfunded district, they aren't taking the students who are most expensive to educate. How does this manifest in spending? 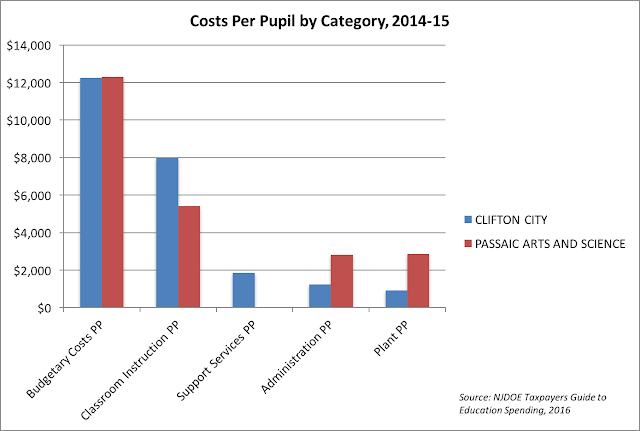 The "Budgetary Costs Per Pupil" -- which the state itself says "...are the costs of governance, support, and instruction that are considered common to all school districts and generally are uniform among them" -- between CPS and Passaic A&S are about the same. But CPS spends much more on instruction and support services, while Passaic A&S puts its money into administration and plant costs. Support services help all students, but are particularly targeted to those with special education needs. It's clear what's happening: Passaic A&S has proportionally far fewer special needs students, and therefore puts its money into other spending categories. Does anyone argue against the idea that the taxpayers of Clifton have every right to know how those monies are being spent? That they ought to know exactly where plant and administration funds flow? That the Clifton BOE has an affirmative obligation to protect its town's interests and properly regulate how charter monies are being spent? That the charter's inability to leverage economies of scale might make it a bad deal for the city's taxpayers? I've pointed out many times that charter teachers tend to have far less experience than public district school teachers. 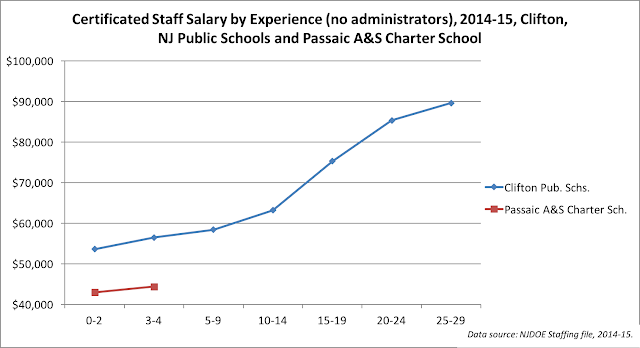 But Passaic A&S has one of the least experienced staffs I have seen in the NJ data. Nearly 4 in 5 of its teachers have less than 3 years of experience; that's simply astonishing. A charter school that only hires inexperienced teachers is arguably "free riding" on salaries: it takes advantage of the fact that teachers might be able to transfer to a better paying public district school later in their careers, and therefore will accept less pay now with the promise of more later. But Passaic A&S takes this a step further: it way underpays its teachers relative to CPS even controlling for experience, allowing more funds to be plowed into administration and plant costs. Does NJDOE care about any of this? Certainly, Chris Christie doesn't; he loves Gulen-linked charter schools so much he visits them repeatedly, singing their praises while simultaneously pushing insane school funding plans that would decimate the state's urban school districts. He says these schools "do more with less" -- but he never asks how the students might differ. Algebra I is a course that you take in Grade 8 if you are relatively advanced in math (Grade 7 if you're really advanced). If math isn't necessarily your thing, you're much more likely to take it in Grade 9; in other words, high school. See what happened here? The CPS middle schools scored quite well on the test; better, in fact, than Passaic A&S if we take into consideration the variables in my model. But Clifton HS students didn't do so well. Would anyone make the case that the teachers are worse at the high school, compared to the middle school, based on this? 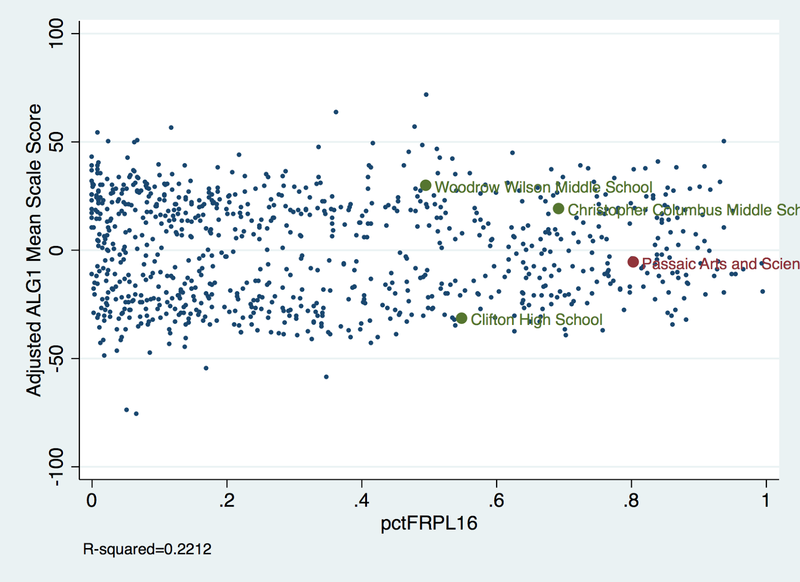 You'd be foolish if you did: Clearly, we are justified in thinking the difference between the middle and high school scores is due at least in part to student characteristics we can't see in the data. Well, if that's the case, why shouldn't we at least ask the question whether the same thing is going on with the charter school? The students there are self-selecting into Passaic A&S; isn't it likely they are different from students who don't choose to go to the charter? 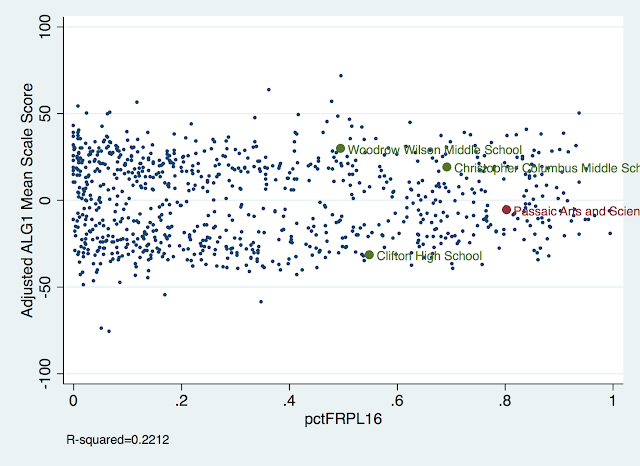 Shouldn't we at least stop to consider that charter school "gains" are due, at least in some part, to self-selection? Charter researchers have, in some cases, tried to get around this problem by using lotteries to claim they are setting up a "random" experiment that accounts for these differences. The problem is three-fold: first, the charter "treatment" might include things like free-riding on salaries, which allows for an extended day, which could lead to higher test scores. In this case, we aren't putting the public district schools and the charters on equal footing; in other words, we're confusing "charteriness" with advantages that are paid for by the hosting district schools. Second, we aren't accounting for peers. I know some have tried to do so in their work, but I find their methods to be weak (I know this deserves more discussion -- this summer, I promise). The fact is that concentrating special needs students in the hosting public district schools likely gives charters an advantage that is, again, not due to their governance structure. Third -- and this is the big one -- We can only generalize "random" charter school studies to students who enter charter school lotteries. Which is what I'm asking folks to consider with the chart above. If we can see self-selection play out this way in public district schools, why shouldn't we expect similar effects from charter schools? Here's Clifton, NJ, a city school system that is being screwed over by the state, which refuses to follow its own law and give the schools what they need. That same state then forces the community to fork over millions of dollars to a charter school whose operations and governance are far from transparent. The charter doesn't take its fair share of special needs students; spends money on administration and plant costs rather than instruction and support; and free-rides on teacher salaries. The Clifton BOE rightly turns to the state and says: this is not fair to the students we must educate, and it's not fair to our taxpayers who demand accountability and transparency. NJDOE spokesman Michael Yaple said the agency declines to address local issues through media outlets and instead attempts to work directly with municipal officials. "The Department takes into account a number of factors when making decisions regarding charter schools, ranging from student academic performance to the demand among parents," Yaple said in a statement. "Throughout the process, any correspondence and concerns from both school districts and charter schools is important to the Department, and we work directly with local school officials the best we can." In other words: the good people of Clifton can take a flying leap. At some point, this madness must come to an end. Even if you are a supporter of charter schools, nothing can possibly justify New Jersey's totally screwed up system of charter approval, regulation, and funding. We can't keep asking cities like Clifton to sacrifice their local public schools just so a few folks can have a "choice" that is negatively affecting the entire system. h/t the great Rob Tornoe. * A 3-year average from 2012 to 2014; I haven't yet been able to get more recent data, but this, in my opinion, is a good enough metric for our purposes here. ** Percent black and percent Asian, which I've found avoids problems with multicollinearity. "...in other words, we're confusing "charteriness" with advantages that are paid for by the hosting district schools." What are those advantages, and what are the mechanisms by which hosting districts are being made to pay for them?